Montana Mavericks: 20 Years in the Saddle! 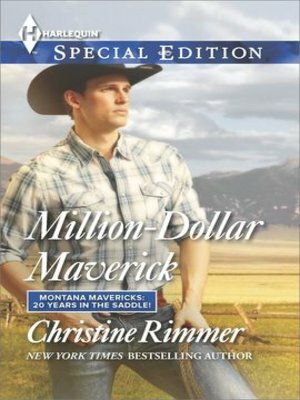 Series, Book 1 · Montana Mavericks: 20 Years in the Saddle! Insiders whisper that Nate is also keeping another secret from his new girlfriend, nurse Callie Kennedy--a big one--and it could be a game changer. Place your bets, dear readers! What will she do when she learns her "regular guy" boyfriend is really a maverick millionaire?